This is the quilt I made in her class, based on a simplified version of her "Vases" quilt series. I did a different desing in each section of each vase...this allowed me to show off a few patterns I was already good at, as well as practice some new ones Robbi showed us. 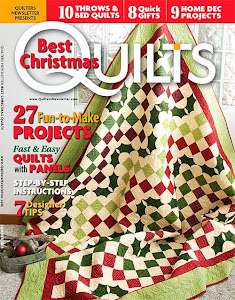 I loved spending time quilting this! 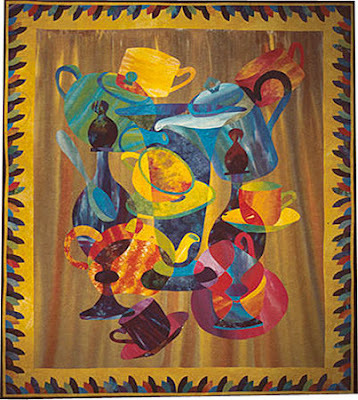 I also used variagated thread in some of the quilting, like on the blue vase. 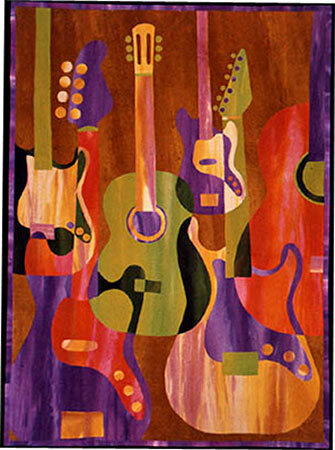 This quilt hangs in my family room, above our TV, so I see it everytime I watch television. 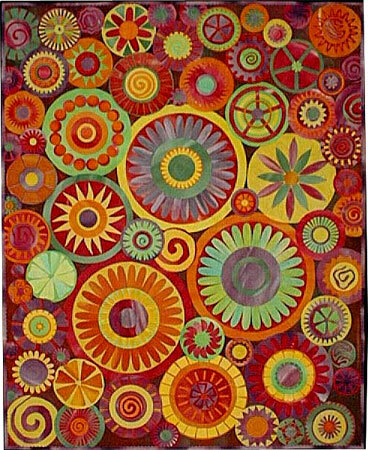 Thinking about how much fun this quilt was to put together and then quilt makes me want to pull out some of her patterns again (purchased in her class)﻿ and try another one! Here is some extra eye candy, a few of Robbi's amazing quilts! 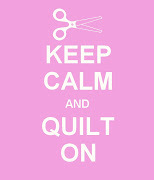 Visit her blog/website to see her full gallery of quilts. She is a warm and very funny quilter with so much knowledge about art quilting techniques.